Dad’s Famous Mashed Potatoes are always the star of a dinner table! Perfectly creamy, buttery, and they have such amazing flavor. People are always begging him to make the recipe! These mashed potatoes always complete our holiday meal. They go perfectly with my Garlic Herb Prime Rib or a Honey Glazed Ham. I have a little story to tell you. I do not like mashed potatoes. There is just something about them when I was growing up that I just didn’t t like. But there is one special little recipe that will get me to eat mashed potatoes and LOVE them. That is my dad’s mashed potato recipe. Maybe I have just been spoiled growing up and only had the best mashed potatoes that no other recipe can compare. Whatever it is, we can always count on my dad’s mashed potatoes being the star of the dinner table. What has taken me so long to get these on the blog? I really have no idea. Maybe there has been a bit of intimidation of making my dad’s famous mashed potatoes. I never have had to! But it just so happened that he came over and was able to make this recipe for you AND teach me all of his tips and tricks of making his mashed potatoes. Love ya dad! What goes in homemade mashed potatoes? 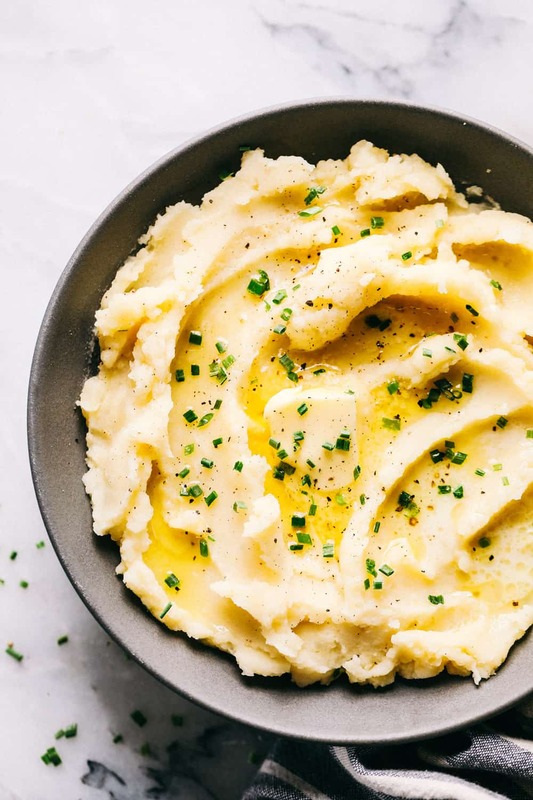 How do you make the perfect mashed potatoes? To start, peel and cut your potatoes into about 1/2 -1 inch cubes. Place them into a large pot and wash the starch off until the water runs clear. Fill the pot with cold water to fully submerse potatoes. Add a dash of salt. Boil the potatoes for about 15 minutes or until they are fork tender. Drain the potatoes and add milk, butter, and salt. 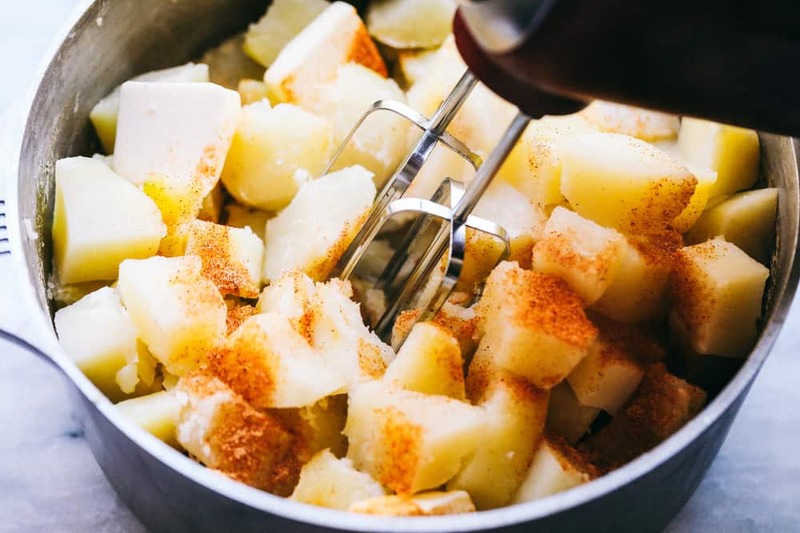 Using an electric hand mixer, beat the potatoes on high until they start to form peaks. If the potatoes still seem thick and need to be creamer, add additional milk. Also add additional salt to taste. Butter will be your best friend in this recipe. 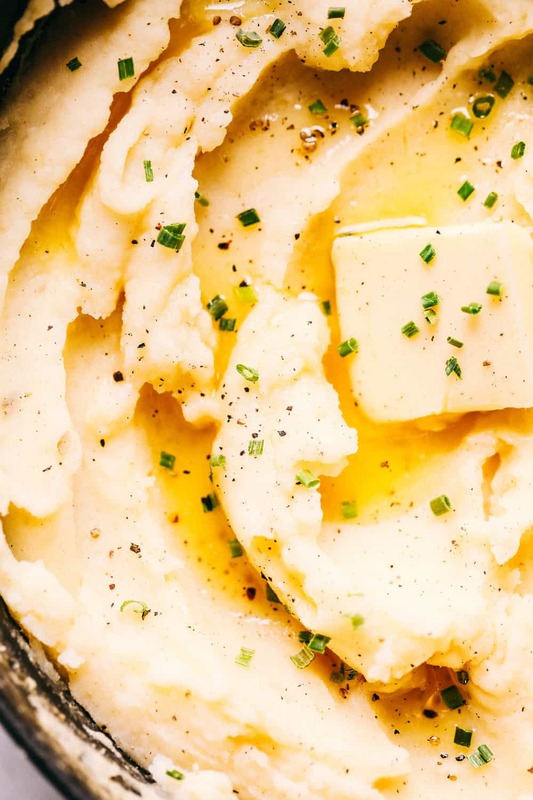 The secret to perfectly creamy and delicious mashed potatoes is the butter. 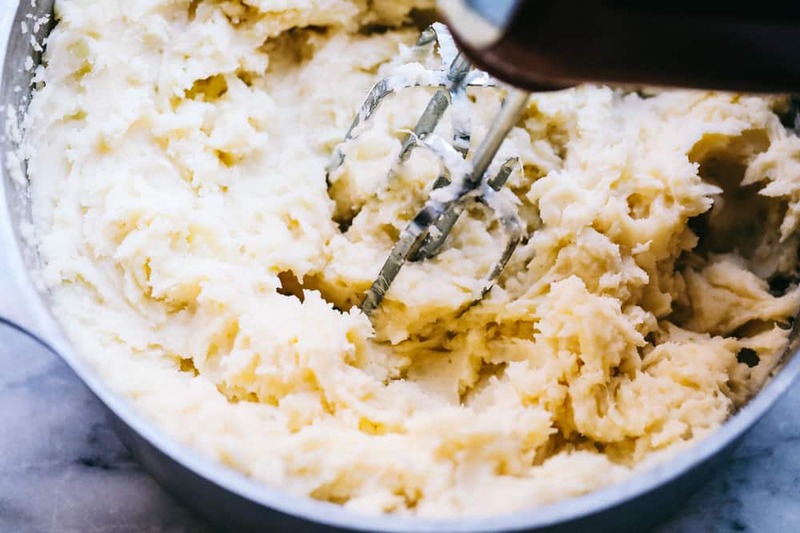 Do not add too much liquid to your mashed potatoes. This will make them runny. It is better to start with a fourth a cup of milk and add more as needed, then to end up with runny mashed potatoes. Salt to taste. I wrote to add 2 teaspoons of salt in the instructions. BUT we probably add closer to a tablespoon. Every taste is different so add more if needed. 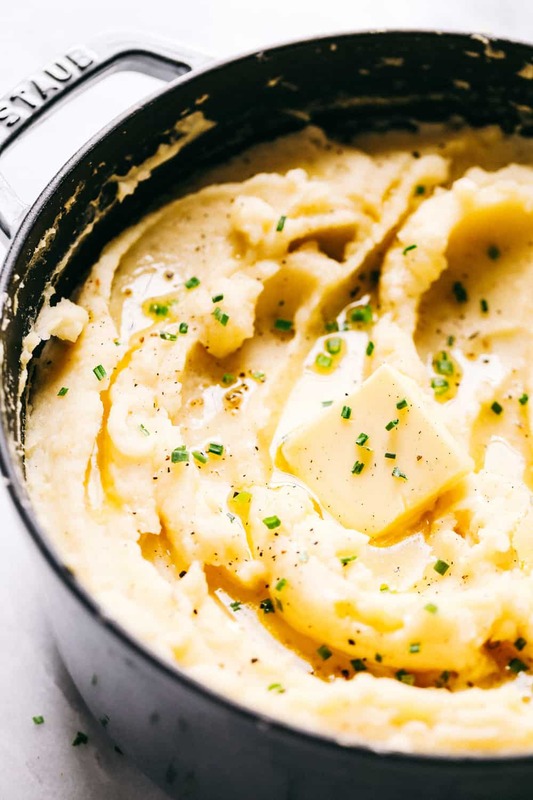 Customize your mashed potatoes. 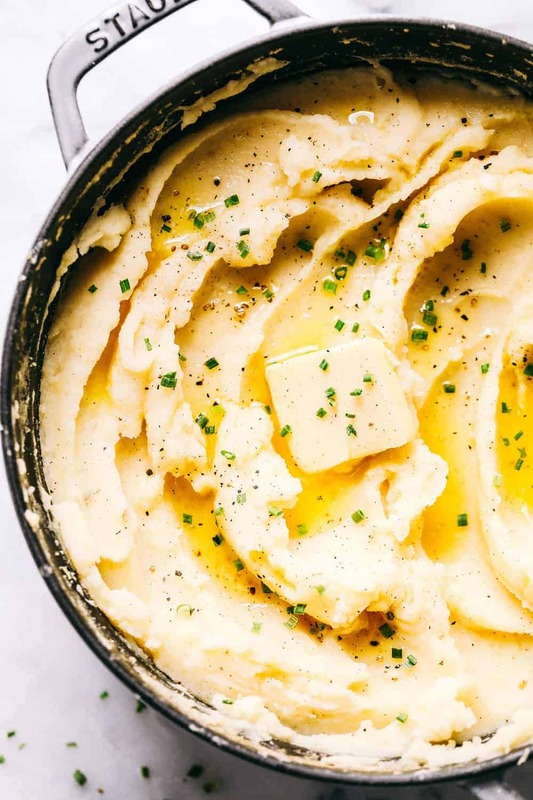 You can add in additional ingredients to make your mashed potatoes epic. What can I add to my mashed potatoes? Can’t get enough potato recipes? Try these! Dad's Famous Mashed Potatoes are always the star of a dinner table! Perfectly creamy, buttery, and they have such amazing flavor. People are always begging him to make the recipe! 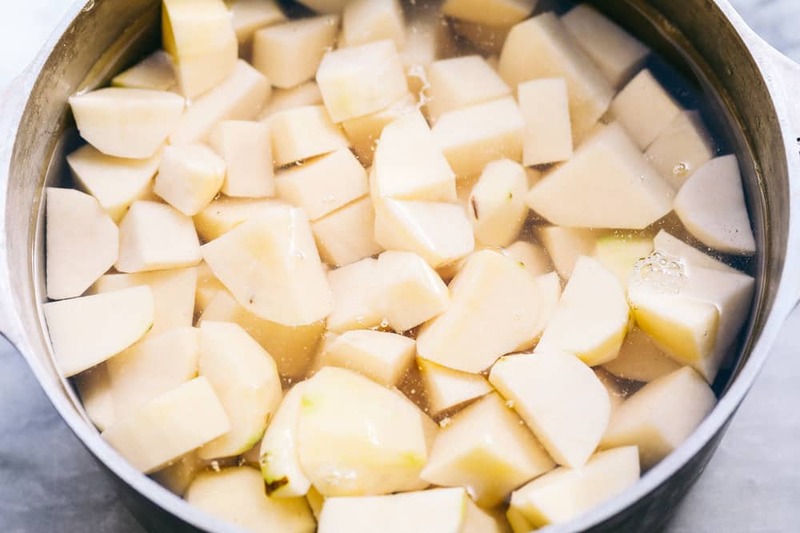 To start, peel and cut your potatoes into about ½ -1 inch cubes. Place them into a large pot and wash the starch off until the water runs clear. Fill the pot with cold water to fully submerse potatoes. Add a dash of salt. Boil the potatoes for about 15 minutes or until they are fork tender. Drain the potatoes and add milk, butter, and salt.